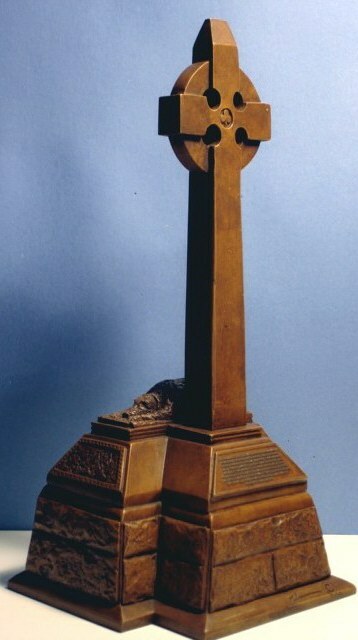 Being one of the most striking Gettysburg memorials, visitors to the battlefield have continually expressed a desire to have the Irish Brigade Monument represented in miniature for their collections. Randy Groves accepted the commission, and created a painstakingly detailed sculpture which replicates the original down to the most minute feature. Not only is the Irish Brigade Monument something unique among Randy Groves' evocative work bringing to life individuals and scenes from the Civil War, it is also a piece which has involved significant challenges and personal connections. It seems appropriate then, to hear his own remarks about the sculpture. 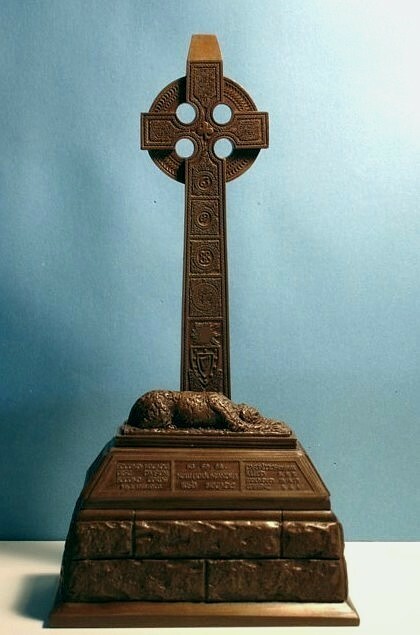 “As I'm of Irish descent, I was absolutely delighted to be asked to recreate O'Donovan's Irish Brigade Monument in a form people could enjoy in their homes. 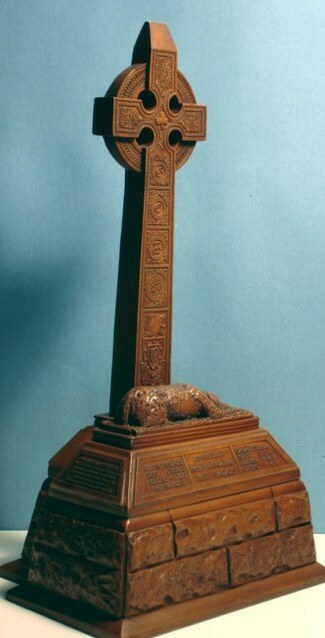 This monument has long been a favorite of mine, as it incorporates so many Irish symbols to pay tribute to a group that began, in America, as very much second class citizens. 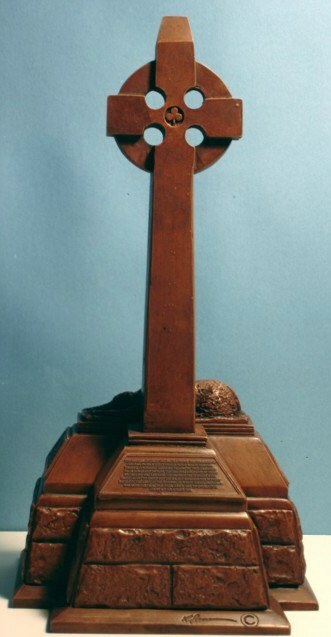 The Irish proved themselves throughout the Civil War on field after field, and by the end of the War, had removed any doubts about their standing as citizens. The monument is a testament to their tenacity. Despite my enthusiasm to take on this project, it was obvious to me there were many challenges presented, as this was a great departure from my usual work. Normally I work mainly in a sort of "free form" style as opposed to the precise measurements and geometry that were entailed in the creation of this piece. I also had to be consciously aware of the style of the sculpting. Randy Groves' Irish Brigade Monument, is a painstakingly detailed sculpture available in bronze and pecan wood. While an inanimate object, it unquestionably bears all the feeling that his sculptures of historical and mythical figures radiate. Dimensions of this sculpture are 14" tall X 7" wide X 6" deep.